« The Patriots might be the healthiest they have been all season. 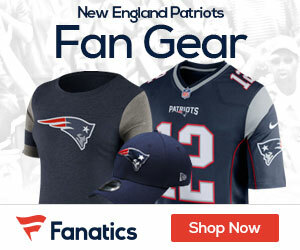 Should New England Trade For Percy Harvin? Absolutely New England should trade for WR Percy Harvin if that is an option. 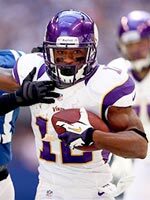 Percy Harvin has one more year left on his contract for the Minnesota Vikings but the Vikings could trade the talented wide receiver. It’s no secret the Vikings and Harvin have had a past history of not always seeing eye to eye. Percy, just last season, was rumored to have asked for a trade from the Vikings before backing off such request, and remaining with the team. Percy Harvin’s current season, however, was cut short due to an injury. He badly sprained his ankle that ended his season. Percy Harvin is currently rehabbing out of Minnesota and in Florida, but the Vikings say they have no problem with that. Percy Harvin would be worth a trade because he is one of the most valuable receivers in the NFL and is a very young talent at only the age of 24. During the first seven weeks of the season, Percy Harvin was having an amazing start to his season. Harvin was leading the league in all purpose yards with 1,142 yards. He also was second in the league with receptions (53) and seventh in receiving yards (577). Percy Harvin had the highest yards after catch in the NFL with 438 yards. Harvin is also a great returner for the Vikings, he was averaging 32.5 yards per kick return, which was highest in the NFL. Percy Harvin, since being in the league, has even lined up as running back with success, gaining yards in the bunches on the ground. Harvin is a true athlete with speed, quickness, smartness, and vision. Imagine all this talent with the New England Patriots. He has many things to bring to the table for the Patriots or any team for that matter. He is a true player maker, and could be a play maker from the slot position, opposite Welker, or whomver for the Patriots, and New England would be even more dangerous. Bringing Percy Harvin into the no huddle, fast pace offense would unite one juggernaut of a duo featuring Brady and Harvin. Harvin could be New England’s dynamic returner, one they haven’t had in a long time. Harvin can be a play making WR, who can not only get space deep, but take catches, even short ones, and turn them into a 40 plus yards gained. He can break a play from WR or RB position to the endzone. Percy Harvin is worth the trade for any team, at the right pick. New England would benefit by adding this play maker to their team if they wanted too.